Well that is what we all needed badly. A clinical first half, a controlled second half, a clean sheet and two precious away goals. The team played as a unit, was disciplined and had a good shape to it, and everybody worked hard. There was a spine to this team in more than one way; and how desperately we needed to see this!! Ospina: 9 – excellent balance between getting involved and staying in position for 90+ minutes. Strong focus throughout the game and clean and decisive interventions. Almost faultless performance: My MOTM. Chambers: 7.5 – worked hard, not faultless but worked well with the CBs. Koz: 8.5 – The old dog is not dead yet. Inspirational performance and fought for that clean sheet with everything he had. Couple of fine tackles and last ditch blocks. Mustafi: 7.5 – Much better by the German. Formed a strong bond with his fellow defenders and fought hard for the clean sheet. Kolasinac: 7 – Improvement from recent games but still a way to go. Good involvement in attacking moves on the left. Maitland-Niles: 8 – Came on for Kola and was very impressive. Calm and controlled and almost faultless 30+ minutes. Rambo: 8.5 – Disciplined, energetic performance and a very fine and most important goal at the death of the first half. We needed balance in the team, and therefore in the midfield, and Rambo delivered. Xhaka: 7.5 – Kept it simple and made himself constantly available for the defenders when playing out from the back. Jack: 7.5 – Strong first half but less involved in the second half when he seemed to tire quickly. Ozil: 8 – Excellent first half in which he produced two fine assists. Developing a good partnership with Mkhi. Mkhi: 8.5 – Who needs Sanchez? Very good performance on our right in the first half, with a bit of luck for the first goal but also unlucky not to score a second one in the first half. Welbeck: 7.5 – Extra half a point for a great diagonal ball for Mkhi from which he almost scored. Worked his socks off for 90 minutes. Shame he lacks the ability to anticipate where he needs to be next to get in a scoring position. Wenger: 9 – Good structure and discipline in the team and good substitutions to see the game out. Overall a very satisfying game with the attackers doing their job in the first half and the defenders doing theirs in the second one. But it was a team game for 90 minutes too, giving Milan no chance to ever get into the game. We missed Rambo. See how much more compared to Iwobi did he contribute to the balance of the team. The same lineup for Sunday? Your ratings are very much like l see it. Maybe 7 each to Wilshere and Welbeck. It was a controlled performance. That’s professionalism. One could see we were very keen not to concede. That’s the foundation for good results. With what we have up front the chances are high we’d always get goals. I dare to dream. It is good to dream, PE, and that was a performance to get us into one. I wasn’t sure if we had conceded the 2nd minute chance will we be able to churn out a good defensive performance. That is the turning point for us. Maybe half a point less for Xhaka and Jacko, but I need to see the repeat tonight to be able to say more. 84, initially I thought yeah, same team vs Watford, but Aubameyang will return for Danny, who can rest up and save himself for another 90 minutes, non-stop, next Thursday in the 2nd leg. Mkhitaryan on the left seems like the way to go Total, which is going to see Iwobi sidelined. Very impressed with our Armenian playmaker. With the exception of Man Utd (a), we have a very kind run-in to the end of the season. The Arsenal that played at Brighton would struggle to get positive results from half of them. The Real Arsenal that played at the San Siro could win most of them and maybe get a result at OT. I know that confidence is a massive factor, but we weren’t playing well before the League Cup final so I don’t go along with all that old guff about losing the cup final being the cause of the present decline in performance, we haven’t been at the San Siro level for most of this season, with the exception of 2 or 3 stand out games. I’ll go with– ‘spot-on’ TA. Solid ratings for solid performances. This should be the team and the rotation for EL. If Milan were reluctant to press forward? Then give them the same to think about in a week at the Emirates. Ramsey gets the artisan goal. So skillfully satisfying (and at 48:53 of 45+4). Credit to Danny– he was influential in opening spaces for Mkhi and Aaron in the first-half (pressing and tracking in the second). In the 4-back, neither Kola nor Chambers were seen bombing forward. Both seemed to have good sense positionally on their flanks (and a hammer of a shot from about 18 by Chambers late.). Did notice there were times I felt the next logical pass ought be sent to Sead– but wasn’t. Conscious or subconscious of the midfielders? Kos and Mustafi were at the heart of it. Always seemed aware of the other’s positioning. What a partnership looks like. Smart substitiution of Holding for Ozil at 80′. Then Elneny for Chambers 5 minutes later. Mo had several savvy time-eating throw-in possessions to wind it down. So? Damn the torpedoes, full-kids ahead– in the PL. Situation is perfect to give substantial minutes to AMN, Nelson (and Eddie late). No harm, only upside. It was a top performance from the players and the manager. We haven’t seen such a good display away from home since the goal-less draw at Chavs. Mustafi did an excellent job of keeping his passionate style in check. His performance was the classic case of doing more by doing less. I am still somewhat gobsmacked about that seismic shift in the style and power of our game when compared with recent performances, and against one of those canny old Italian clubs who know the CL ropes. Your ratings seem pretty good to me, Totes, but I have built up some prejudices over the last few months, and Ospina, Xhaka and Mustafi are not in my good books at the moment. That said, I think they and the rest of the team did play very well, and it would be harsh of me not to give them credit for their part in an excellent team performance. I have learned over the past few years to worry about Arsenal’s performances after a great win – [and it could have been 0:4, or maybe 2:4] — it would seem that we should convincingly beat Watford – but nothing is a given in this Premier League era, and I am taking nothing for granted. Like AK @ 10:43 a.m. I was really impressed with Miki for the first time. It always takes time to settle into a new team, especially one that is being reshuffled after every game, but I wanted to see glimpses of what he can do — and last night he supplied that in plenty. The last few games could be very interesting, hopefully. Fully agree around our vulnerability after a good win RA. We tripped over too many times. The team must know it this time after the run of poor results. All the efforts would be undone if we slipped up on Sunday. The team have the chance to finish the season strongly. They need to take it now as it’s their last hope of redemption for this season. We are still rehabilitating our confidence, so it’s vital we send out our strongest team against Watford. We need a win. Ramsey has become a good influence on the team. His energy and indefatigable spirit is a tonic that the team needs. He should start but subbed around the hour mark because of his proness to muscular injury. Auba for Wlbez should be the only unforced change. Maybe Kosh too. With a 3-man midfield and slightly more conservative fullbacks, Xhaka proved such a hit against Milan. One other thing, his shoulders never drop. I don’t mind Ospina continuing at goal but I expect Cech to be back. A seismic shift indeed, RA. Question is whether we have turned the page, and we will see what the team is about tomorrow against the Hornets. Luckily, we are playing them at home. I would rest Koz, Rambo and (obviously) Welbeck at least, possibly also Jack and Xhaka. Thursday is our big game and we need to finish the job with our strongest team. I like those v positive ratings, Admir. Koz MOTM works for me too. I watched the game without commentary in a pub and Ospina’s energy, positioning, judgement and timely interceptions stood out to me, but Koz and Rambo were also great. The highlights were Ozil’s quick and v sharp assists and Mkhi and Rambo’s MATURE finishing. Finally, other fans are seeing the limitations of AS. Alexis’s biggest fault for me TA was his dribbling back into midfield and then giving the ball away. The problem for me, TA, re Rambo, is that he has it in him to be terrific, but he can also seem to have lead in his boots when he passes the ball like a rocket — but he does not want a new contract, so I hear, so maybe he is putting his talents on show for a new buyer. 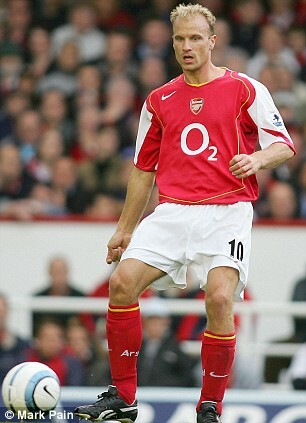 60 goals in 122 matches for Arsenal wasn’t bad was it TA..? Yes RA that is the problem with Ramsey in a nutshell. Kev, it is the goals we did not score and the goals we concededwhich that you need to take into account when judging Sanchez. Short one, but it should get us going.